Bring 'em some C Shop candy! Whether you're visiting friends or family, they'll surely enjoy a treat from the beach. Driving or flying, we can pack it so it stays fresh and undamaged until you arrive at your destination. Also, if you let us know where you're going, perhaps we can recommend other local candy shops in the area. We have candymaker friends up and down the coast and all over Canada and across the US! Naturally we make our own homemade candies, but we also sell some of our favorites made by other candymakers just like us. We always try to do our best, but if someone else does it better, we'll buy theirs! 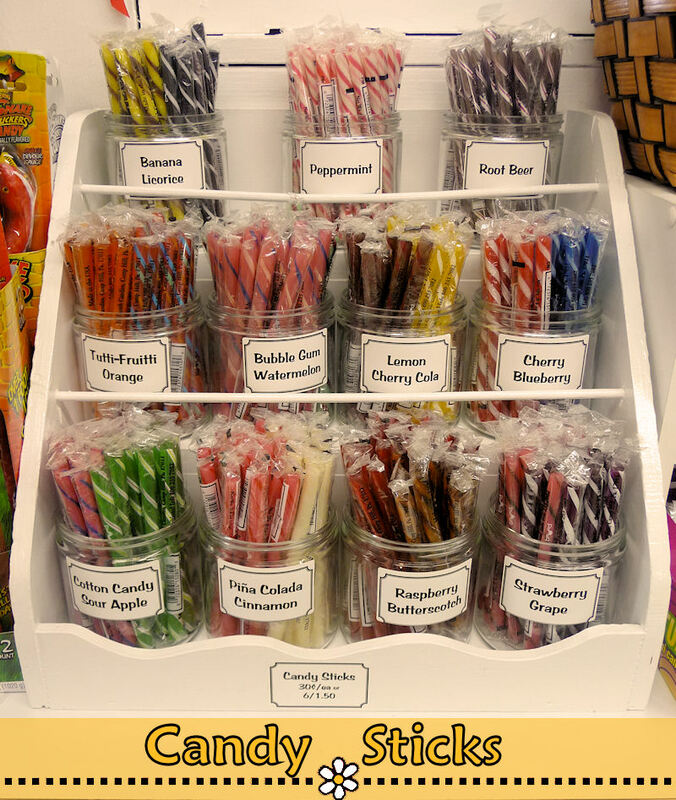 For example, the saltwater taffy is made by Sweet Candy Company in Salt Lake City, Utah. Like us, they're a family business in their 4th and 5th generations. Jordan Bayazit makes the most wonderful Turkish Delight just across the border in Surrey, BC at his company, Bayco Confectionery. He may make 2,500 pounds a day, but he also personally delivers his delights to us. He just added dipped Raspberry Jellies and so did we. We highly recommend them! Like Kids in a Candy Shop! We never get tired of the bright colors and wonderful flavors of the many interesting confections out there. 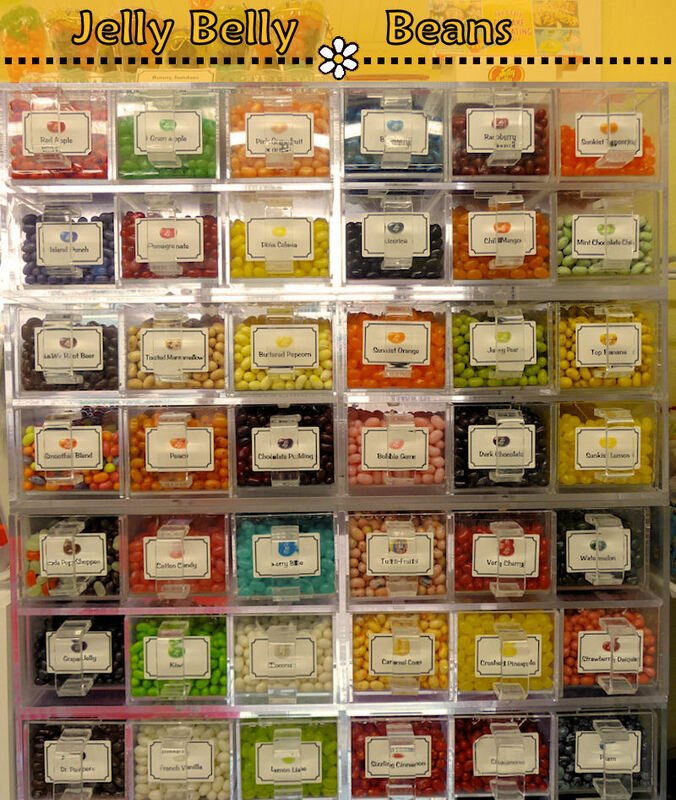 While we do carry some items that only children could love (Harry Potter Bertie Bott's Jelly Belly Beans come to mind! ), you won't find supermarket candy bars or cheap novelties at The C Shop. 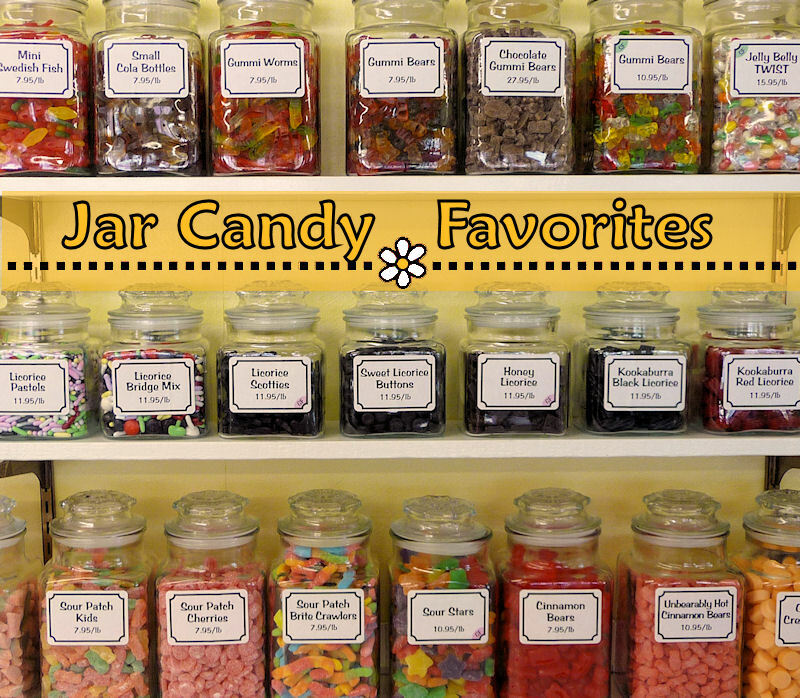 You will find a large variety of jar candies, some old favorites and some new from licorice to gummies. We have 48 different flavors of Jelly Belly Beans beyond the ketchup and booger ones and each season we bring in something new to try. There's something for all tastes. Come find your favorites! Even though we can't do it all, we can make sure that we bring you the best of what's out there. For example, we'll occasionally dabble with making truffles because they're fun and delicious, but we can't really make enough. However, our friends at Birnn in Vermont do a spectacular job so we sell a selection of their bite-sized truffles. They're a family business and select their ingredients with the same care that we do, so we can feel comfortable giving you an excellent truffle at a good price. And did you know that the cows in Vermont love chocolate just as much as people do? Are you diabetic or gluten-free? Some of our jar candies are too! 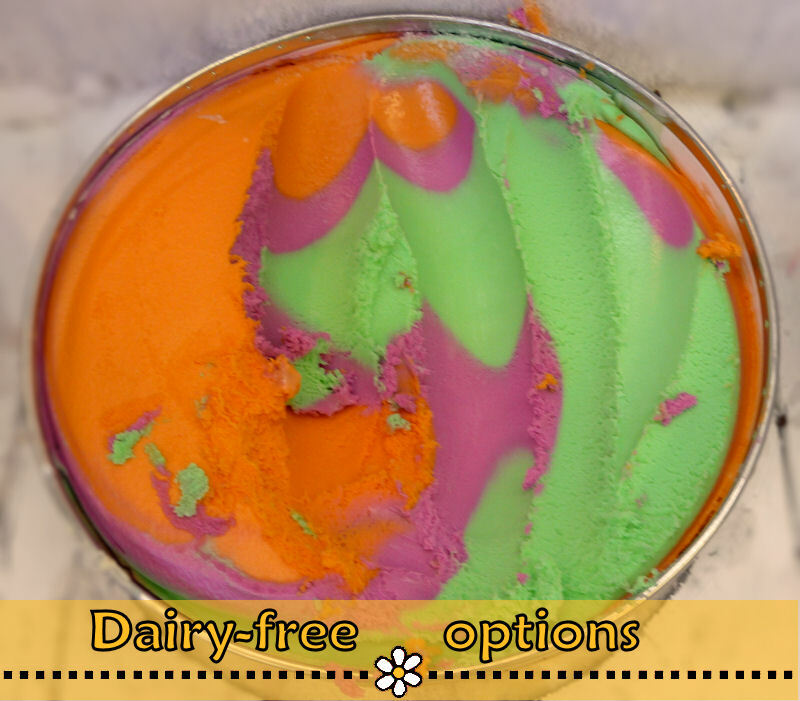 The light green half circle in the top left of the jar label indicates sugar-free, and the pale purple half circle in the bottom right means that it's gluten-free. In the candy case, a green shelf tag means sugar-free and you'll find a good selection of chocolate and caramel confections to suit your tastes. Most of our chocolates are naturally gluten-free. As always, ask any of our crew members about any of the candy. We keep all ingredient and allergen information readily available behind the counter. You are your own best advocate when it comes to your health so feel free to ask for the ingredients list for any candy or other product that we sell. Please note, however, that we grind our own flour and use a variety of nuts in many products and, while we keep a clean environment and do our best, we cannot fully guarantee that there will not have been any cross-contamination. We will do our best to answer your questions and our first consideration is your safety. If you don't see something that you think is a great specialty product, please let us know and we'll see if can get it for you!